This gorgeous Cape Cod is a must see! 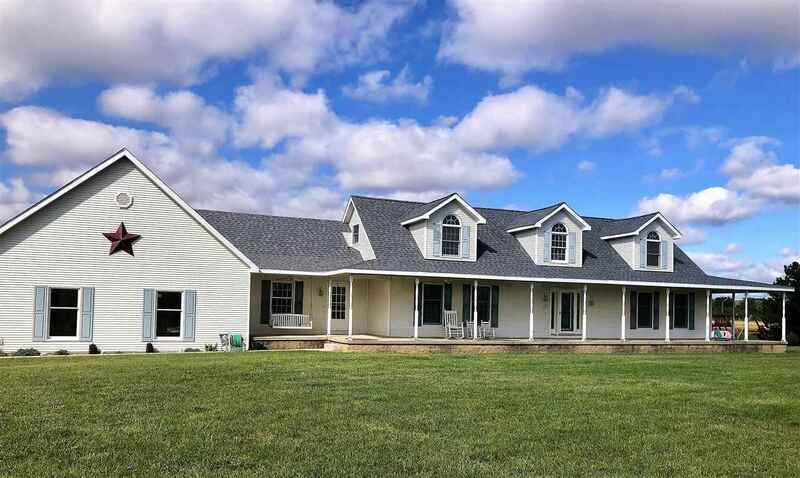 The home has a wrap around porch which is perfect to help you appreciate the 10 acres of peace and quiet. The large pole barn with lean-to will help you with additional storage. The above ground pool will definitely come in handy during those hot summer months! Step inside and you&apos;ll find a spacious floor plan with a main floor master suite including a large walk-in closet, main floor laundry, and a home office space. The beautiful kitchen has plenty of cupboards and an island for additional counter space, with a dining room perfect for entertaining! With so many features and updates including a brand new furnace and roof, you need to schedule your private tour today!